I, like most, have a sweet tooth. Thankfully the process of baking usually provides me with some satiety for my sweet tooth. I think it has something to do with the fact that while baking, all of my senses are engaged. For example, the sound of sugar and butter creaming together; the feel of creamy icing under a spatula; the smell of brownies wafting in the air, calling me to take them out of the oven; or the sight of baked cupcakes, lined up like soldiers on a cooling rack; and or course, the occasional taste of a rich chocolate batter. In those ways baking satisfies my sweet tooth, curbing chances for overindulgence. But if cheesecake is involved, you best believe all bets are off! And while I love it in all its many forms, it is usually a basic cheesecake – simple and unadorned – that really gets me. 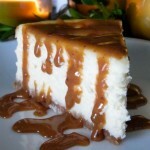 In order to curb gluttony, I made this cheesecake in a much smaller pan: a 7” springform pan. I found that using a smaller pan also reduces the likelihood of a cracked top (which is not to say that a bit of cracking makes a cheesecake any less enjoyable!). If you don’t have a 7” spring-form, an 8” could instead be used, although, the cheesecake itself will be thinner. Preheat oven to 350 degrees. To make the crust, start by combining the crushed graham crackers, sugar and melted butter in a medium sized mixing bowl until the graham crackers are moist. It should be the consistency of dampened sand. Then, spread the mixture onto the bottom of a 7” spring-form pan. Using clean hands, press the mixture, evenly, into the bottom of the pan. Bake the crust in the center of the oven for 8-10 minutes. Remove the pan from the oven and allow the crust to cool while you make the filling. 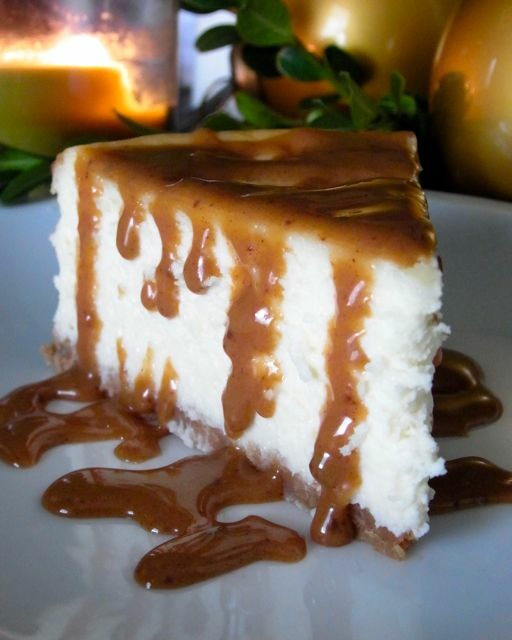 To make the cheesecake filling, place all ingredients into a large mixing bowl and beat until mostly smooth. Alternatively, you can use and immersion blender to combine the mixture until smooth. Pour the mixture into the cooled spring-form pan, and place it into a baking dish. Then pour really hot tap water up into the baking dish until it immerses about 1 ½” of the spring-form pan. Bake the cheesecake in its water bath in the center oven rack for 40-45 minutes, or until the edges are set, and the center still has a slight wobble. Carefully remove the baking pan from the oven. Then carefully remove the spring-form pan, and place it on a cooling rack. Once cooled, transport the spring-form pan to the fridge to chill for a minimum of 5 hours before serving. Serve chilled with whipped cream, fresh fruit, caramel or chocolate sauce.